Sandra offers a warm, friendly and quality in his cottage. This traditional chalet, in the style of the village resort is located in the hamlet of Villette, a few minutes from the village center of Vaujany. 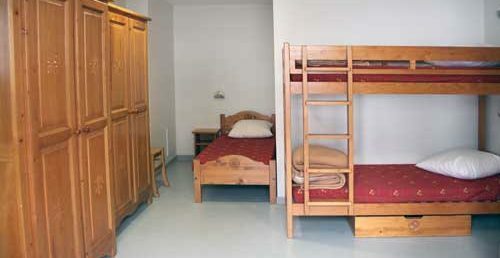 The Gîte for group and individual is labeled "Family Plus". Its capacity is 50 beds for the accommodation part, see more with the cottages in the hamlet and up to 120 seats for catering in the Great Hall. It has a national education accreditation for 30 children and 9 companions. The Chalet de Côte Belle can accommodate you individually, with family or group for: one night, one night with breakfast, half-board, board, for a weekend, for a week or more. You are a group of individuals, a family, a works council, a sports club, an association, a cultural group, etc., the integrated catering service at the Chalet de Côte Belle allows you to fully realize your service. 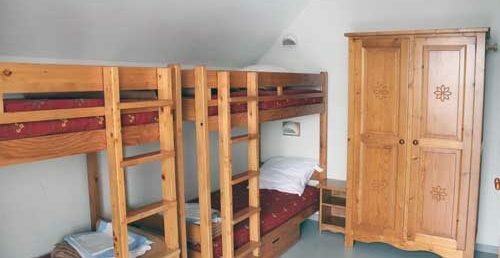 The versatile room of the Chalet de Côte Belle is fully equipped: furniture, sound system, karaoke, babyfoot, ping pong table, large flat screen, DVD player.